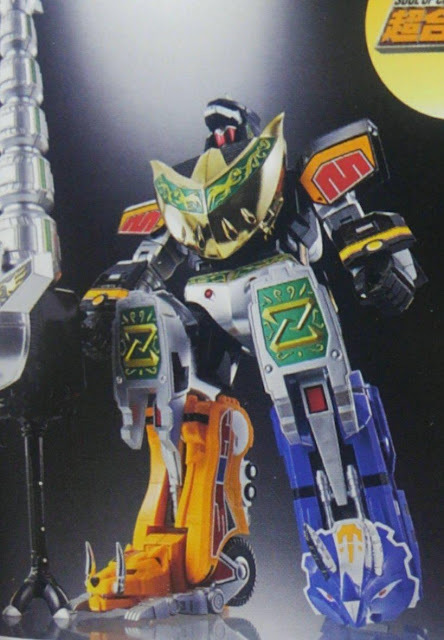 Time to tune your Dragon Dagger, summon up those hard earned dough and prepare for pre-orders as a trio of new scanned images of the upcoming Soul Of Chogokin Dragon Caesar has surfaced! 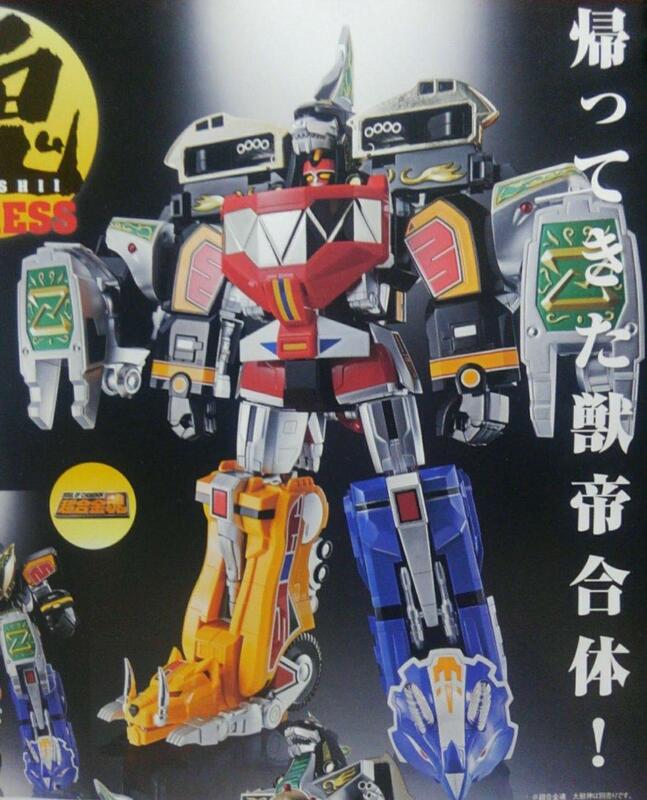 Seen from the images above besides Dragon Caesar's Guardian Beast mode are it's transformed mode: Goryujin and and the Zyuranger's ultimate formation, Kyukyoku Daizyujin. 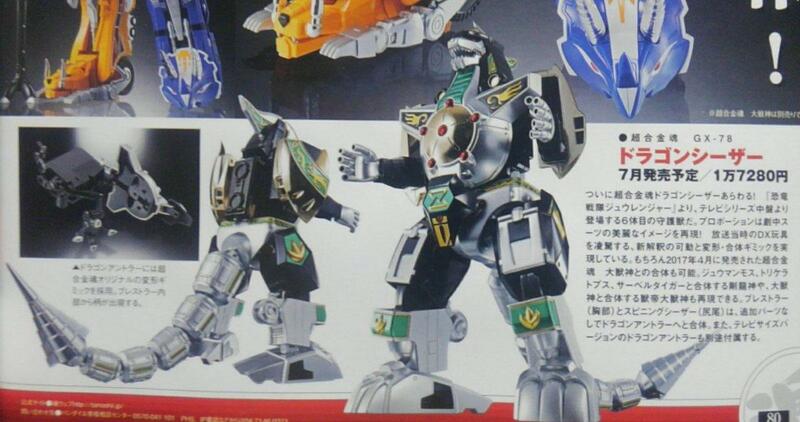 Soul Of Chogokin Dragon Caesar is set to be released on July 2018 and is priced at 17,280 yen and there's plenty of time for you to save up and get yourself one.